Formerly the streets were single letter names, ‘A,’ ‘B,’ ‘C,’ etc. But when Portland, East Portland, and Albina combined into the City of Portland on July 6, 1891, a council of citizens (I have not been able to identify them yet,) renamed the streets for prominent founding citizens of the new, larger city. Just over thirty years later, the Oregonian ran a series of articles from October 5th, 1921 to November 26, 1921 exploring the history of thirty of Portland’s streets, and the influence of the citizens they were named after. The list of names is incomplete however, Shaver, Kearney, and somewhat surprising, Ankeny, are all missing from this list. In addition the list of names quickly expanded past the Alphabet Historical District, leaving one to wonder what the criteria the Newspaper used for this list of articles were. October 5th, Burnside – named after Davis W. Burnside, businessman, city council member, and member of the city’s volunteer fire department. October 06, Couch – named after Captain John H. Couch, sea captain, businessman, territorial treasurer. October 07, Davis – named after Anthony L. Davis, first justice of the peace. October 12, Everett – named after Colonel Edward Everett, commander of the 3rd Oregon infantry regiment, and insurance man. October 14, Lovejoy – named after Amos Lawrence Lovejoy, one half of the men involved in the famous coin toss that settled Portland’s name. October 15, Irving – named after Captain William Irving, captain of the first steamship to serve Portland. October 21, Quimby – named for L.P.W. Quimby, first Oregon state game warden, trucker, and member of the state legislature. October 25, Raleigh – Named for Patrick Raleigh, general store owner. October 26, Marshall – named for John Marshall, a river navigator and business partner of Lovejoy. October 27, Savier – named for Thomas A. Savier, merchant and business partner of Burnside. October 28, Thurman – likely named after saloon keeper, Nathan Thurman. 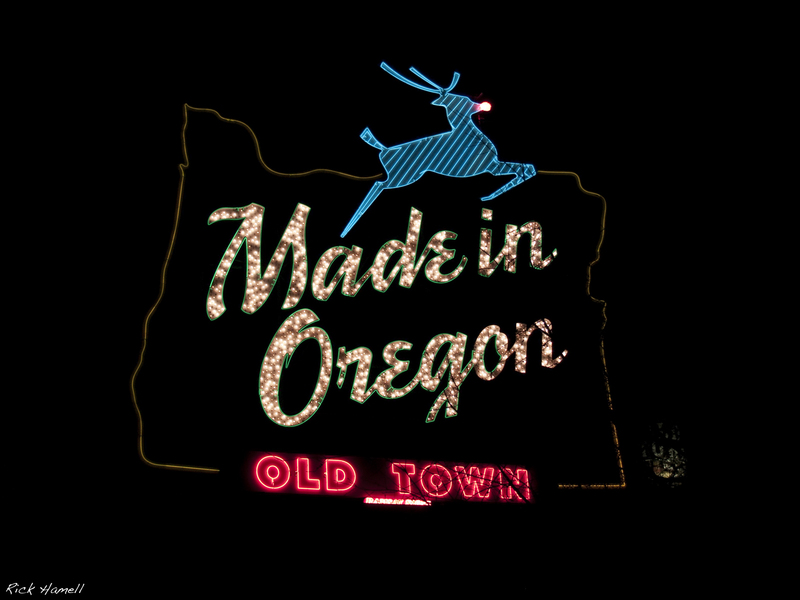 October 29, Vaughn – named for George Washington Vaughn, sixth mayor of Portland, hardware store owner, and business partner of Alexander Ankeny. October 31, Wilson – named for Dr. R. B. Wilson, recognized as Portland’s best physician. November 1, York – named for John W. York, circuit preacher. November 2, Upshur – possibly named for Rear-Admiral John Henry Upshur, commander of the US Navy Pacific Fleet, or his son, Custis Parke Upshur, a well known steamboat porter. November 4, Morrison – named for John L. Morrison, house builder in Oregon City. November 5th, Hawthorne – named for Dr. J.C. Hawthorne, known for his work with the insane. November 9th, Failing – named for Josiah Failing, and this son, Henry Failing, merchants and politicians. November 11, Oatman – named for Harrison B. Oatman, miner, soldier, and grocer. November 14, Chapman – named for Colonel W. W. Chapman, lawyer and politician. November 15, Corbett – named for Henry Winslow Corbett, Senator and merchant. November 16, Himes – named for George Henry Himes, printer and founding member of the Oregon Historical Society. November 18, Brazee – named for engineer J.W. Brazee. November 19, Terwilliger – In honor of James Terwilliger, Portland’s first business owner. November 22, Russell – named for Edwin Russell, banker and founder of Albina. November 23, Montgomery – named after James Boyce Montgomery, railroad builder and politician. November 24, Caruthers – named after Finice Caruthers and his mother, Elizabeth Caruthers. Finice helped established Portland’s first public water supply. November 25, Whiteaker – named for John Whiteaker, politician, and first state Govenor at beginning of Civil War. November 26, Curry – named for George Law Curry, editor and politician. I hope you enjoyed this series of articles! Please let me know in the comments below. Can you tell me was Drexler Street by the Memorial Col named after Clyde Drexler?